The opening animation of this anime is very misleading. You’ll be hoping for an anime filled with combat, fight, and action scene. Well… that is not the case unfortunately. The story is about the daily life of the Shinki(s). 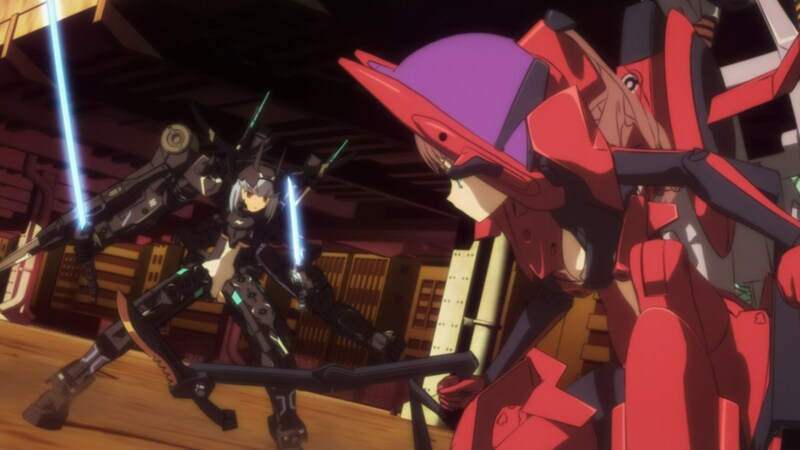 Here in this anime, the Shinki(s) is small robot that can move, speak, and interact with their surroundings. They also have emotion (which is quite weird). 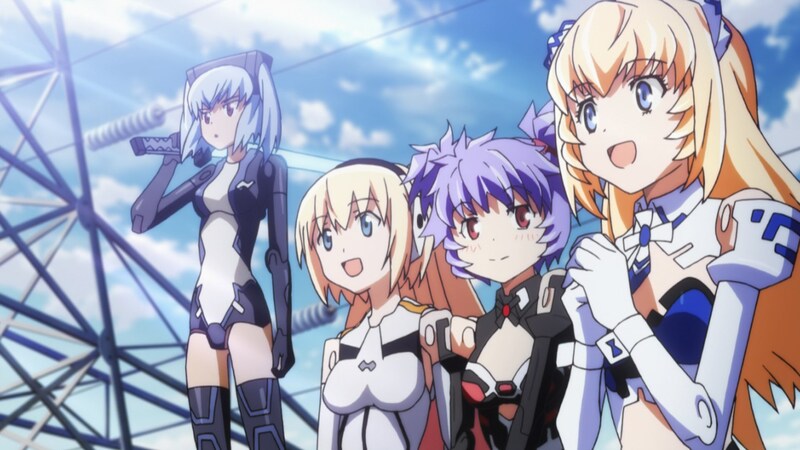 There are 4 Shinki(s) serve as the main characters in this anime. They are Ann, Ines, Lene, and Hina. I’ll explain more about them in characters part. The story will follow their daily routines, their adventures, and even some action-combats. 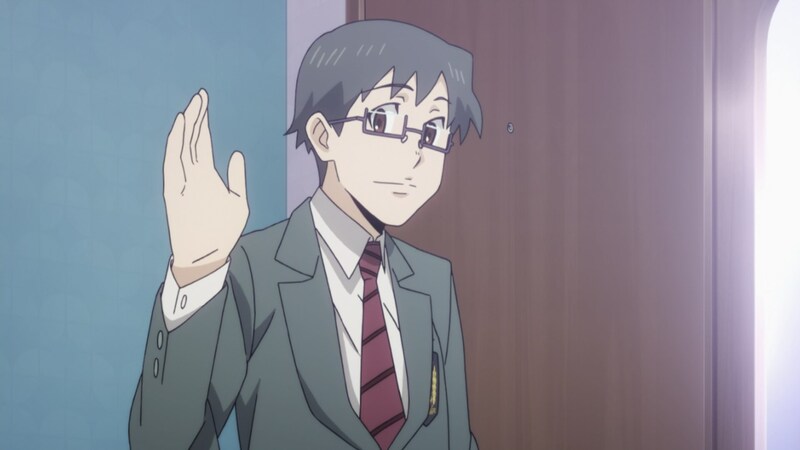 The character design for this anime is decent. Not as good as I thought but not bad either. The animation quality is decent too. Kinda disappointing especially for an anime aired in 2012. 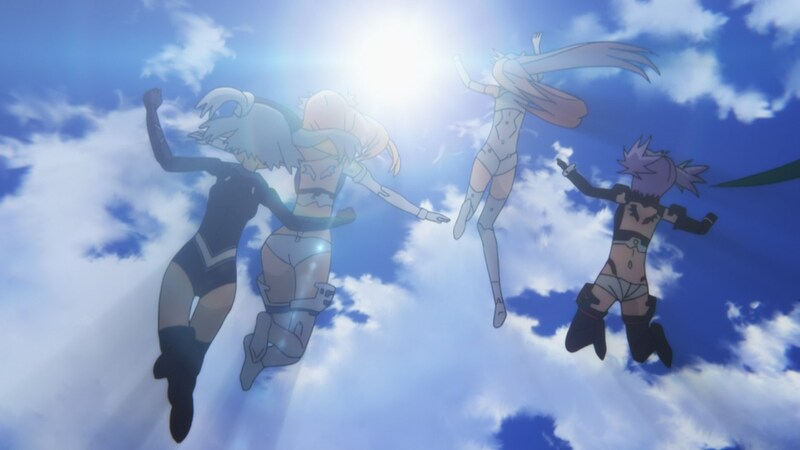 Even when compared to the first season of Strike Witches which was aired in 2008, Busou Shinki is still slightly below it when it comes to animation quality. The sound effect in the anime is pretty decent. Nothing is wrong but nothing spectacular. However, my impression with background music is better. The opening theme is “Install x Dream” by Asumi Kana, Mizuhashi Kaori, Nakajima Megumi, and Chihara Minori. In episode 8, 9, 10, and 11, the singers perform the opening theme alone. Asumi Kana in episode 8, Nakajima Megumi in episode 9, Mizuhashi Kaori in episode 10, Chihara Minori in episode 11. I really like the opening theme. From those 5 versions, I think the one performed by Chihara Minori alone is the best. Simply because Chihara Minori’s singing skill is completely on a different league compared to the others. The ending theme is 「太陽のサイン」 (Taiyou no Sign, literally means “Sign of the Sun”) by azusa. The ending theme is also very nice. It’s very calming and relaxing. There are 4 main characters in this anime that become the center of the story. While there are many supporting characters, I only take 2 of them who had more presence than other supporting characters in the anime. Ann is the first Shinki owned by the master. So, she is the most senior Shinki living with the master. Ann is an “Angel Type Arnval Mk.2” model. She is a cheerful Shinki. She is also very loyal to her master and will do anything for her master. Asumi Kana’s voice left cheerful, innocent, and pure impression to Ann’s personality which is what Ann should be. As usual, Asumin did excellent in her role. Lene is the second Shinki owned by the master. 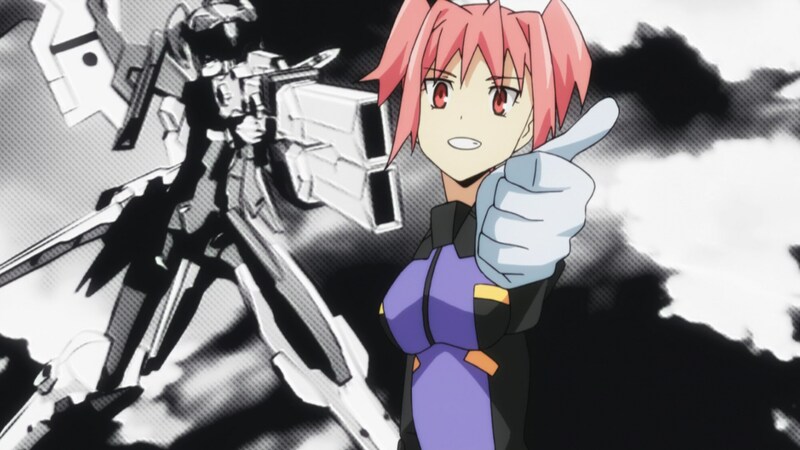 She was “programmed” as Ines’s elder sister. Lene is an “Valkyrie Type Altlene” model. She is very clumsy in many things but she is good in sewing. However it is worth to note that Lene’s appearance doesn’t look clumsy. In fact, she looks more mature than Ann. You might also notice that Lene often ends her sentences with “~no desu”. Nakajima Megumi can fits Lene’s gentle personality beautifully. However, just like Lene’s appearance, Megumi’s voice doesn’t sound clumsy. Well… I think I am going to miss Megumi’s voice since she seems to be already retired from her voice acting work. Ines is the 3rd Shinki owned by the master. She was “programmed” as Lene’s younger sister. 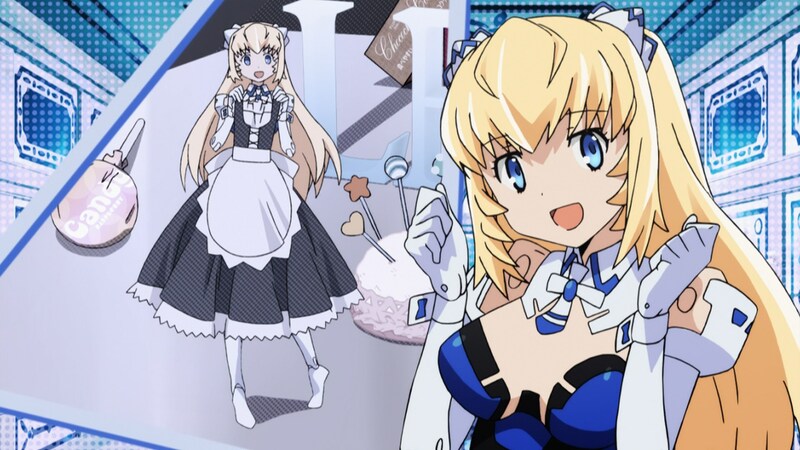 Ines is an “Valkyrie Type Altines” model. Ines is the shortest Shinki compared to the other 3 main characters. She seems to be more reliable than Lene. She uses “Boku” when refering to herself. She is also a bit Tsundere. When it comes to voice acting, Mizuhashi Kaori is a rival of Asumin. Mizuhasshii is even slightly better than Asumin. They both sounds cute and innocent but Mizuhasshii can covers wider range of voice. 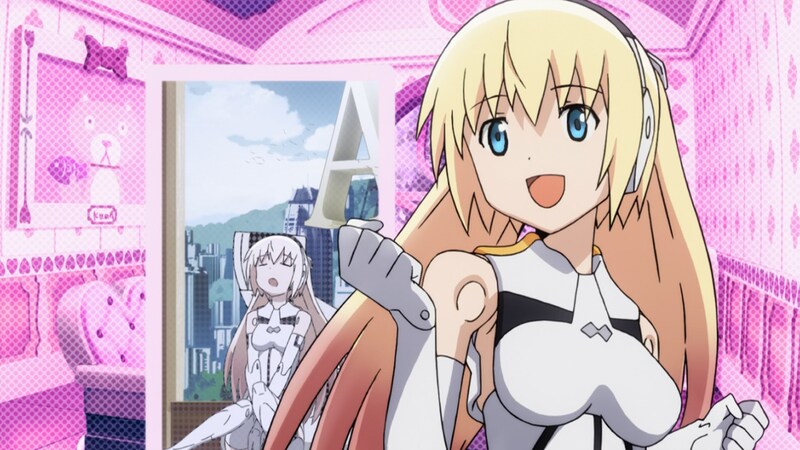 Hina was introduced as a new Shinki that the master received in the first episode as a monitor (review model or engineering sample perhaps?). Hina is “Devil Type Strarf Mk.2” model. Her personality is rather cold but she can be a Tsundere as well occasionally. 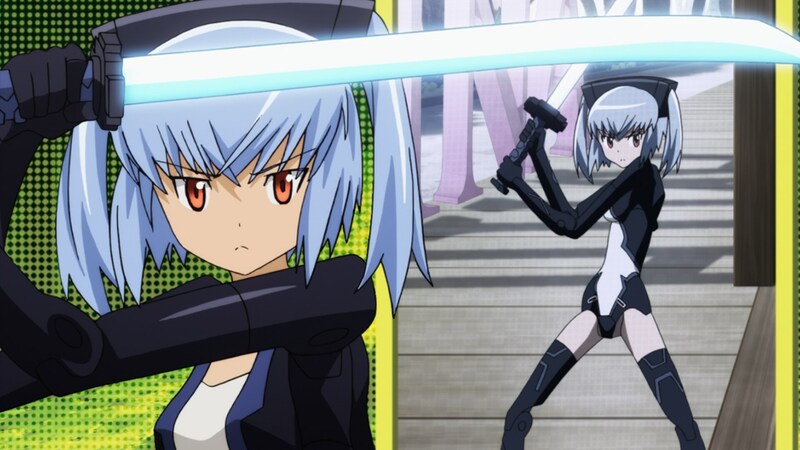 She seems to be taking a good care of her weapon and her combat skills is noticeably better than the other Shinki(s). In my opinion, Hina’s twin-tail hairstyle doesn’t fit her cold personality. On the voice actress side, Chihara Minori did a very good job as Hina but Minorin’s voice as Rosa (another Strarf Mk.2 model) actually sounds even better for Hina. 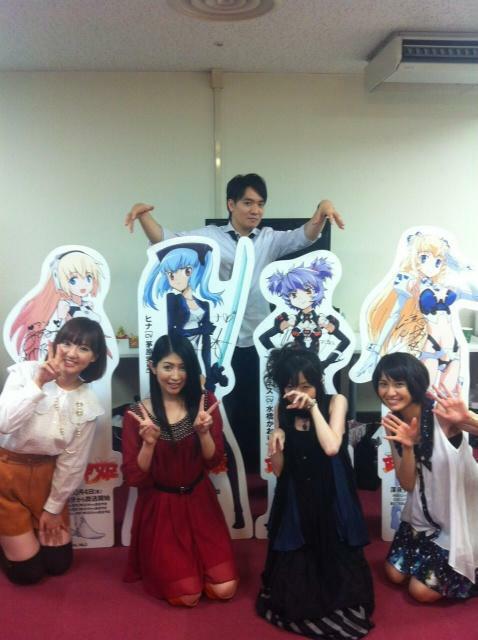 Rihito is the master of Ann and the other 3 Shinki(s). His name was never mentioned in the anime. He is a good master that take care of his Shinki. He often wake up late and her Shinki(s) always help him in anyway they can. He used to live in United States but he moved to Japan in the beginning of the story. Rihito’s presence in the story is too low to make influence. Therefore, Takahiro’s voice acting also didn’t stand out in this anime. Kurara is a “Siren Type Eukrante” model Shinki. She was the runner-up from Shinki Battle Tournament in the beginning of the story but ended up serving as a joke character. Her presence hardly has any influence in the story because she gets beaten easily in every battle. While Emirin’s voice acting isn’t bad, it’s also nothing special especially when compared to the 4 main character voice actresses who leave a very strong feels with their role. 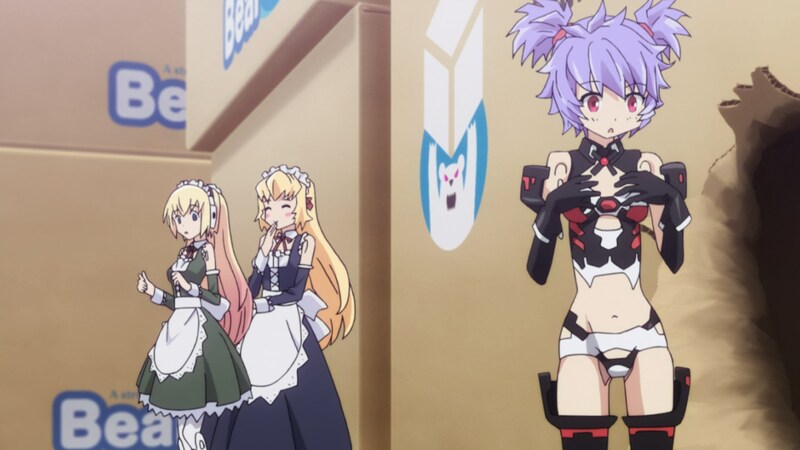 Many people might be disappointed with this anime due to the lack of combat-action scene. Especially with the opening animation misled us to think that this is an action anime. However, that is not the case for me. Despite the lack of action scene, the story itself is still very good. The animation quality is a bit lagging compared to other great anime aired in 2012 or even before that, but still acceptably good. The music is also good although it’s not the strength of this anime as well. The theme song feels different though, both the opening theme and ending theme are very nice. The characters are quite interesting in their own and the lead voice actresses are very very far from disappointing. You won’t lose your time watching this anime. Just don’t think of it as an anime fully packed with action but think of it as a lightweight entertaining anime and you won’t be disappointed.